OUCH! 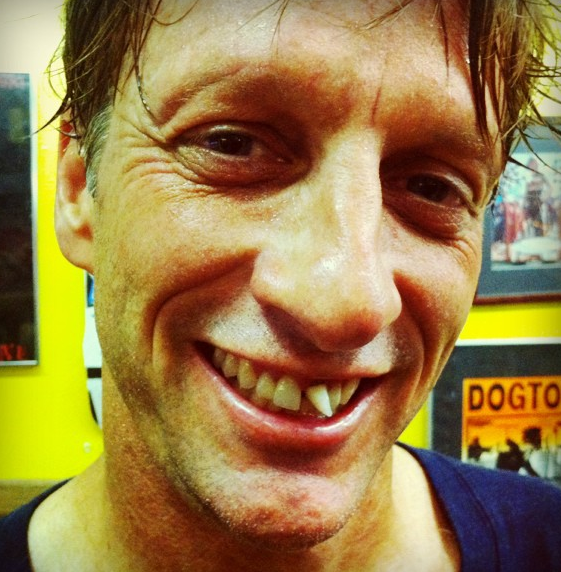 That is the first though that comes to mind when you lok at these photos of skateboarding legend, Tony Hawk. He was in the middle of a doubles session at Kona State Park in Florida yesterday when he wiped out and jacked up his front tooth pretty bad. Do you think he’s really going to stay like that? Will he not get a fakey put in? OMG. I just can’t handle it. He looks like a hillbilly!